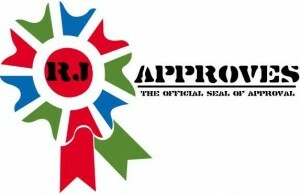 hosts | RJ Approves This Message! Just a quick read and a refresher on vSAN Design Decision to keep my memory fresh..
1. The minimum configuration required for Virtual SAN is 3 ESXi hosts, or two hosts in conjunction with an external witness node. However, this smallest environment has important restrictions. 2. In Virtual SAN, if there is a failure, an attempt is made to rebuild any virtual machine components from the failed device or host on the remaining cluster. In a 3-node cluster, if one node fails, there is nowhere to rebuild the failed components. The same principle holds for a host that is placed in maintenance mode. 3. One of the maintenance mode options is to evacuate all the data from the host. However, this will only be possible if there are 4 or more nodes in the cluster, and the cluster has enough spare capacity. 4. One additional consideration is the size of the capacity layer. Since virtual machines deployed on Virtual SAN are policy driven, and one of those policy settings (NumberOfFailuresToTolerate) will make a mirror copy of the virtual machine data, one needs to consider how much capacity is required to tolerate one or more failures. Design decision: 4 nodes or more provide more availability options than 3 node configurations. Ensure there is enough storage capacity to meet the availability requirements and to allow for a rebuild of the components after a failure.